A 2,000-year-old mummy named Umi made a stop at NKU on Thursday morning as part of an ongoing collaboration between the university and the Cincinnati Museum Center. The remains of Umi, a mummified boy from Egypt between the ages of 3 and 5, dates back to the year 100 A.D. His coffin was brought to the recently opened Health Innovation Center, where radiology students and museum professionals analyzed the remains with a single-slice X-ray imaging device and a CT scanner. Public history students will be working with the radiology students to gather more information on the time in which Umi lived. 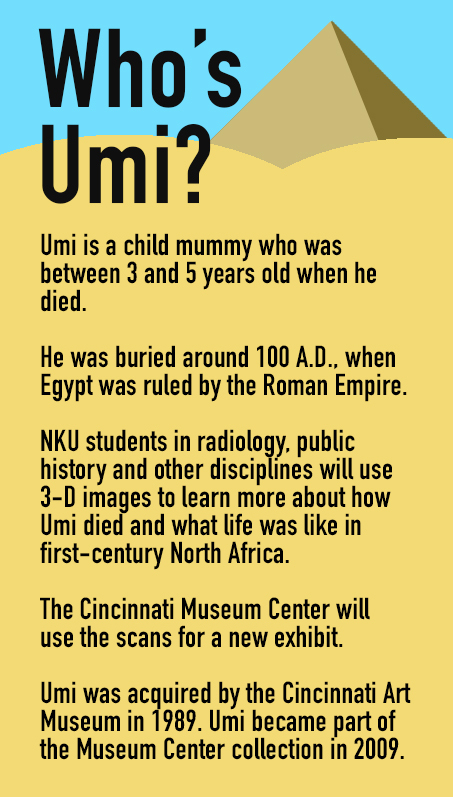 Bob Genheimer, the curator of archaeology for the Cincinnati Museum Center, said Umi is classified as a Roman period mummy, and not much is known about them. The only information they have on the body is what’s written on the cartonnage, or the painted surface on top of the wrappings that contain the body. Several amulets of different materials are placed overtop of Umi’s body. 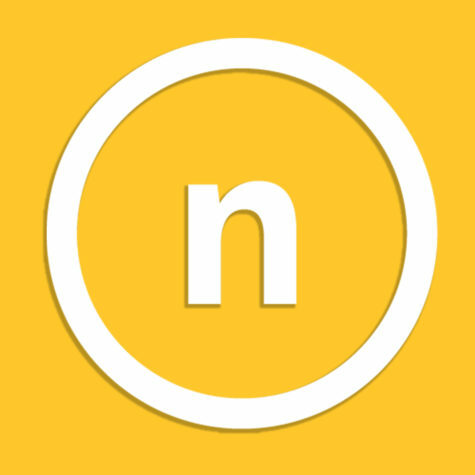 Jason Applegate, NKU associate professor of radiologic science, said another faculty member with a contact at the museum came up with the idea for the project. 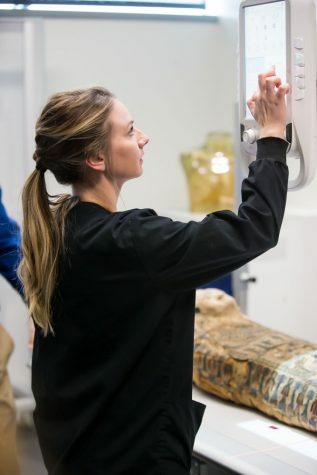 Applegate said that the collaboration was intended so that both the museum and the school could come away with something unique; students get to work hands-on with an ancient artifact, and the museum benefits from the rapid advancements in scanning technology in the last decade—the mummy hasn’t been analyzed using machines since 2009. Genheimer hopes that the students can work with the museum closely to take a closer look at the mummified remains and possibly figure out the child’s cause of death. He also plans to utilize the HIC’s 3D printer to make a copy of the body and the trinkets inside for potential museum display. Joe Andrews, a graduate student in public history, jumped at the opportunity to work with an actual mummy. “I’ve always been a history nerd, it just seemed like a really cool opportunity. Definitely something you don’t see everyday,” Andrews said. Dale Stevenson, dean of the College of Health Professions, said he hopes this helps to showcase the HIC and NKU in general. “It shows our community engagement, how we can reach out across the river to Cincinnati and work with partners to further education for our students and also to further some of the activities that are going on, like ones at the Cincinnati Museum,” Stevenson said. Stevenson also mentioned that there are plans to create a phone app that will allow users to view a hologram of the mummy based on the scans taken in the HIC. “We’ve got a wonderful new facility, and this is an example of how we’re applying education and technology using this facility,” Stevenson said. Students used CT scanners and X-ray imaging to find amulets hidden inside the mummy’s cartonnage. Applegate said the museum has more special ideas for partnership with NKU coming in the near future. He said they’ve expressed interest in NKU using the same technology to scan some of the dinosaur bones they have on display. Andrews said that he was surprised that NKU actually ended up getting to scan the mummy. 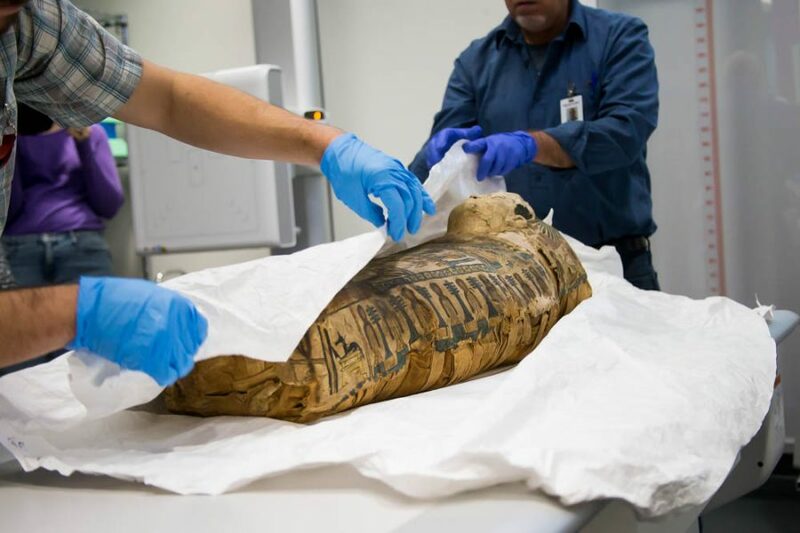 Umi is headed back to the Cincinnati Museum Center for his new exhibit on March 22, but Genheimer is glad they took the time to bring the mummy to NKU.